I smelled vinyl on the premises from across the street as I waited for Laurie's to open. 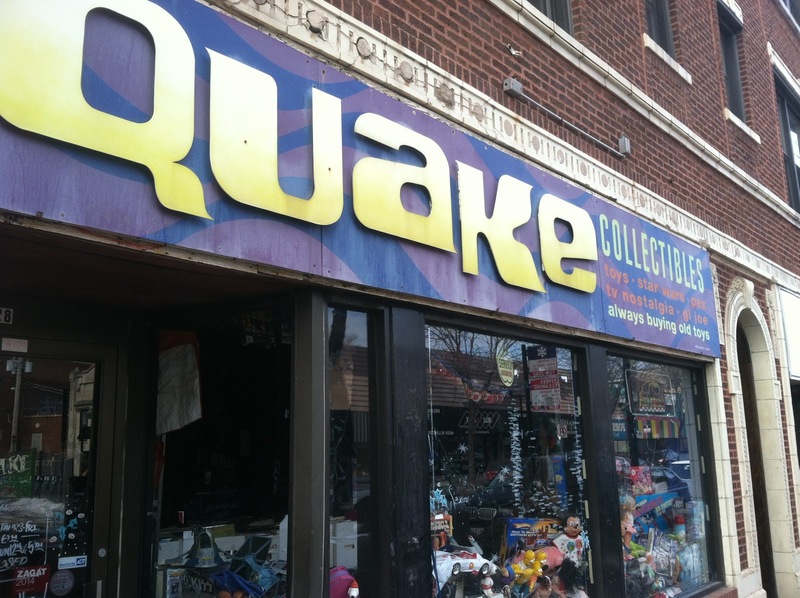 Quake wasn't open yet either, but I peered inside and could see the record rack through the door. Didn't buy anything but there was a bunch of nice stuff in here! The first five records I flipped through were MOD and DRI. Two bands I've loved for years - a used toy store is the LAST place I'd figure to find those! If they had 'Gross Misconduct' I would have bought it instantly! The DRI record has been reissued a few times by Beer City but the original looks like its kind of rare. I think I'll be back up this way before long and I'll have to glance at the label. 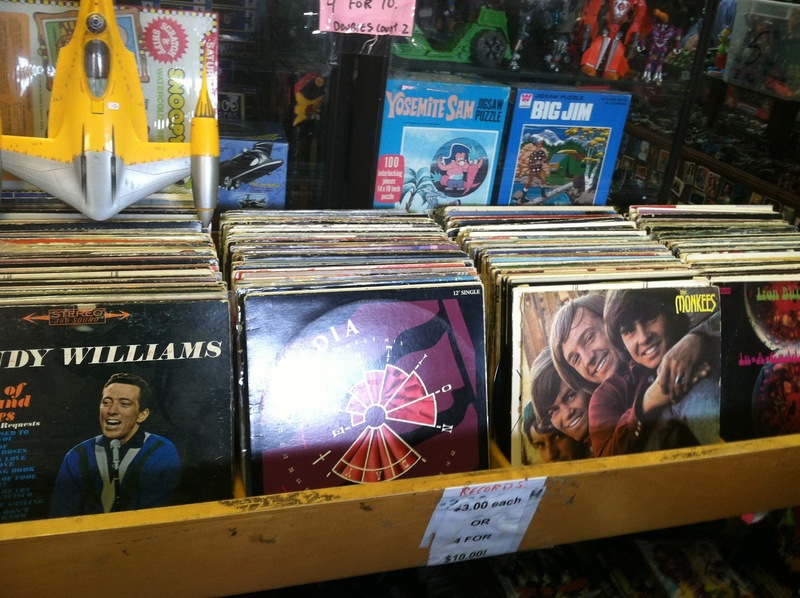 Ooooh - that Monkee's album in the last pic would have been mine!